We all dread climate change and we need to fix its causes! You’re not alone if those words make you feel overwhelmed. The good news is there are a lot of concerned people like you as well as organizations and all levels of government working on reducing greenhouse gas emissions. At the same time, we need to prepare for the increasing climate change impacts scientists expect we will see in our near future. 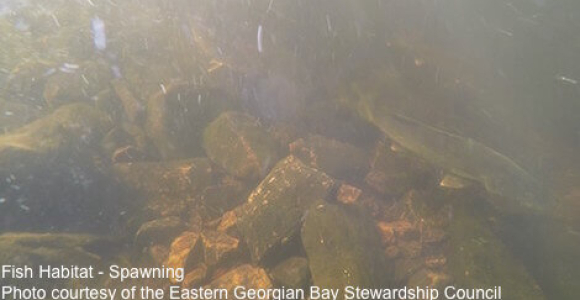 Georgian Bay Forever (GBF) continues our work to fill gaps of knowledge through our science research and data gathering to mitigate the increasing impacts of climate change. Here is one example of important missing data that you may not know about. 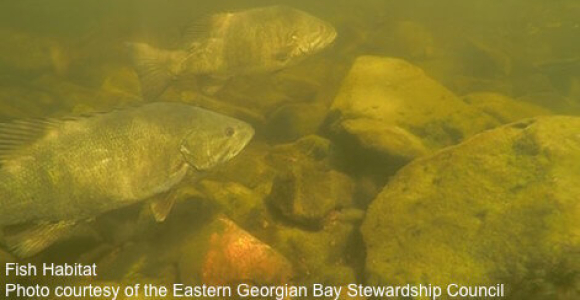 There is no high resolution underwater map of the Georgian Bay coast, and no ability on the Canadian side of the Great Lakes to cost effectively generate such maps on a recurring basis to track changes in habitat, water quality and organisms in our Bay. How can this help, and aren’t there some underwater topographic maps already? 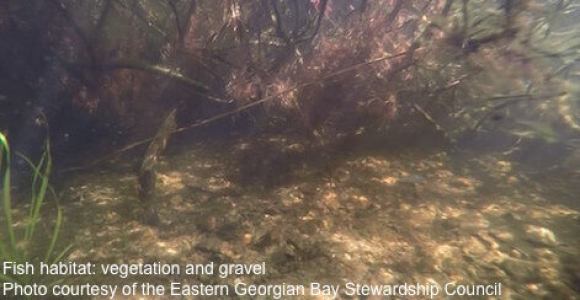 There are many reasons Georgian Bay needs that kind of high-resolution underwater picture available at the fingertips of scientists and policy makers. We can see from the long term monitoring data that climate change is already altering precipitation, water levels, season length, surface water temperature, to name a few changes that will impact underwater ecosystems – as well as causing the more frequent extreme weather events we are experiencing. 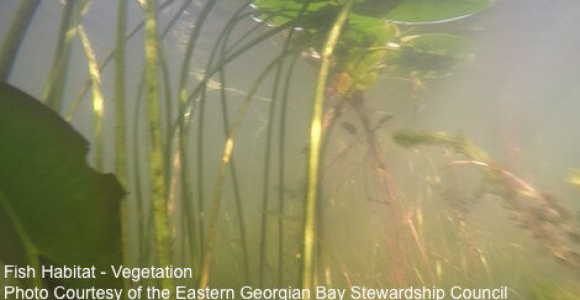 At the moment, there is no way of knowing where climate resilient underwater habitat is along every part of the coastline of Georgian Bay - in other words, where should we be prioritizing work to protect biologically productive areas that support robust, underwater life. Sadly, these safe spaces are at risk from development, extreme water level fluctuations, temperature increases and shoreline modifications. Given the hurricane force winds that hit Georgian Bay from Midland to Parry Sound in the summer of 2017, it doesn’t take much to imagine what will happen when increasingly huge, windy storms with excessive rain blow into the some of our coasts. We have seen trees toppled, buildings and docks damaged infrastructure washed out and raw sewage flowing into the water. But, what we can’t see is the damage to important underwater habitat from wave action, polluted storm-water run-off, erosion, or fouling from fuel and oil leaking from sunken boats or other large objects falling into the water. Without this model, we don’t even know what to check or where to start cleaning up, because priority areas of habitat for robust underwater life haven’t been identified. 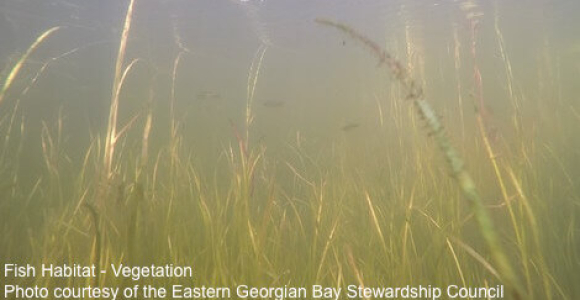 Sadly, we already know that habitat in many areas of Georgian Bay are under threat from invasive Phragmites. Communities across The Bay are to be greatly commended for attacking and addressing this environmental threat (Learn more) . 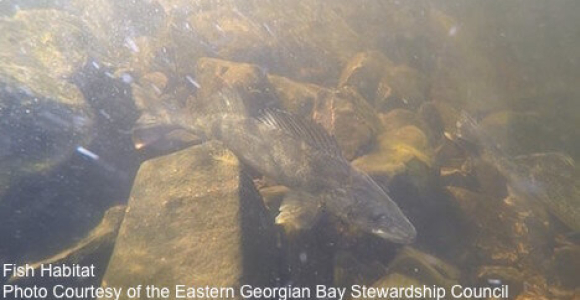 But our battle to reclaim these critically important habitats must not be lost to the damage from other insidious climate change impacts that we can’t see. 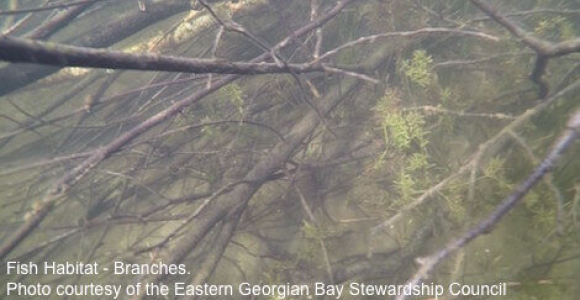 That’s just one example…but imagine if we had this detailed understanding everywhere in Georgian Bay. Our ecosystems would have a much better chance of thriving if this precious habitat is properly protected and monitored wherever it might be. And that’s not all. A Digital Elevation Model will also help communities and municipalities understand the impacts of and designate appropriate places for shoreline development to improve the efficiency and effectiveness of planning for growth that is ecologically and economically sustainable. There is a tool that can make this happen. Georgian Bay Forever has identified a technology that can help to make this Digital Elevation Model happen fairly quickly. 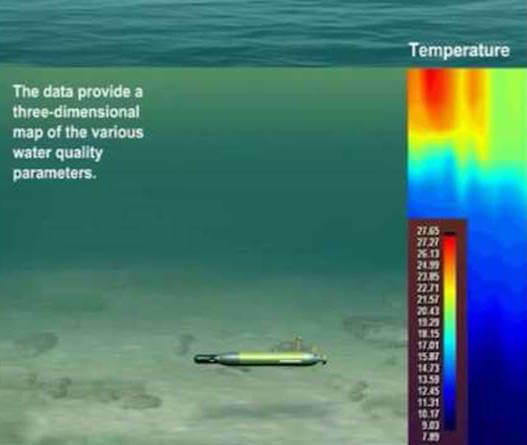 In addition, this technology also has the capability of revolutionizing water quality monitoring to detect such things as sewage outflows, oxygen levels, temperatures, nutrients, pH levels (a measure of the acidity of the water), flow rates and so much more. be launched overnight in an area from shore, requiring only one person to deploy and retrieve - taking measurements every second through the night and returning to a prearranged pick up point the next morning. 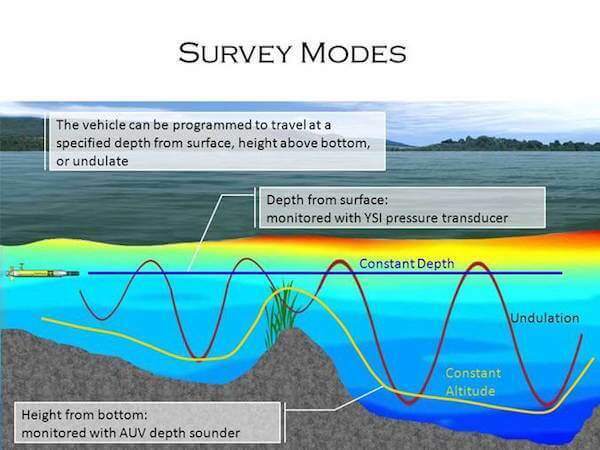 The current process for collecting that data would take weeks and involve numerous boats and sondes. follow a programmed collection survey pathway. 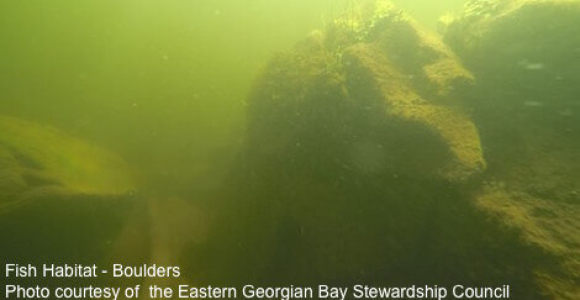 That survey can be reproduced again and again to show changes over time in the watershed resulting from numerous stressors – climate change, sewage overflows, increasing development, industrial or municipal spills, aquaculture operation impacts, and the effectiveness of shoreline remediation. Our only impediment to starting this important and efficient data collection - having this device available to check on concerns of water quality and establish a baseline of where important Bay habitat exists – is funding. With your help, we can get there. 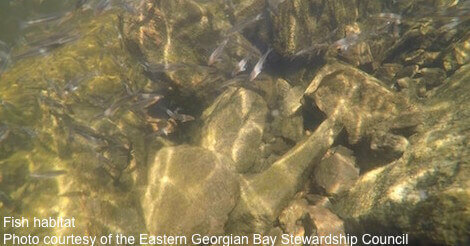 Georgian Bay Forever is a registered Canadian charity and our work is mostly supported through individual donors. 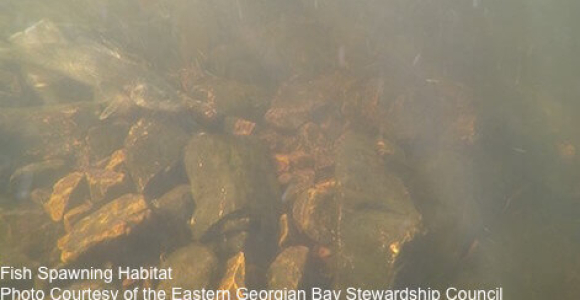 Please donate today at this link and be a part of revolutionizing habitat and water quality monitoring to help protect Georgian Bay for the next generation.